All bookings made are for the use of the whole Lodge only. 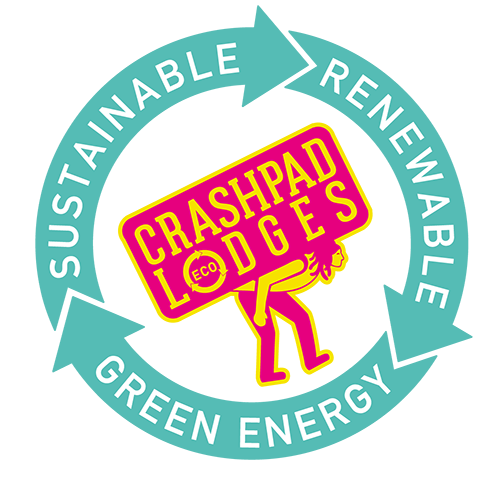 Booking secures Crashpad Lodges and can accommodate upto 18 people. Pricing based per night with a discounted special weekend deal. Please call Josh if any of the booking options available do not suit you and if you require any assistance. A 30% deposit is required at time of booking to secure your dates. All balances must be paid at least 30 days before your stay and are non-refundable unless your space can be filled. Bookings made within 30 days of stay are payable in full in advance and are non-refundable unless your space can be filled. A damage deposit is required at time of arrival of £100 cash which will be refunded on your departure less any damages. Check in can only be made after 3pm on your arrival. If you wish to arrive earlier, please let us know on your enquiry. The Bunkhouse must be vacated by 11am on the day of your departure to allow for change overs. Unfortunately pets are not permitted at the Lodge. This is to protect the livestock in the surrounding fields. Please be aware that farmers have the right to shoot your pets if they aggravate livestock.